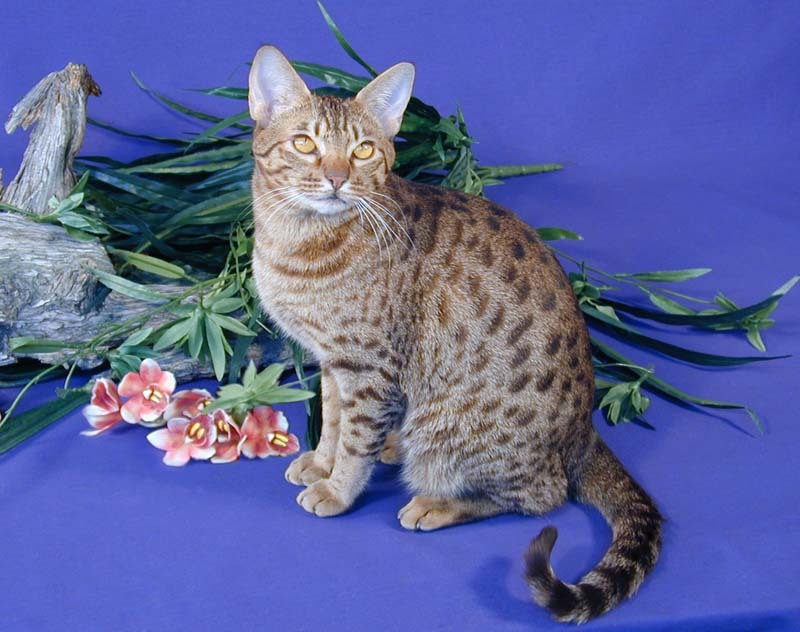 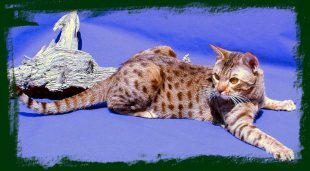 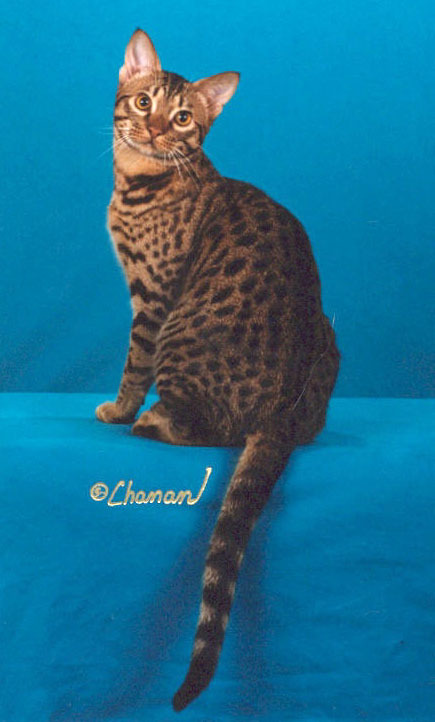 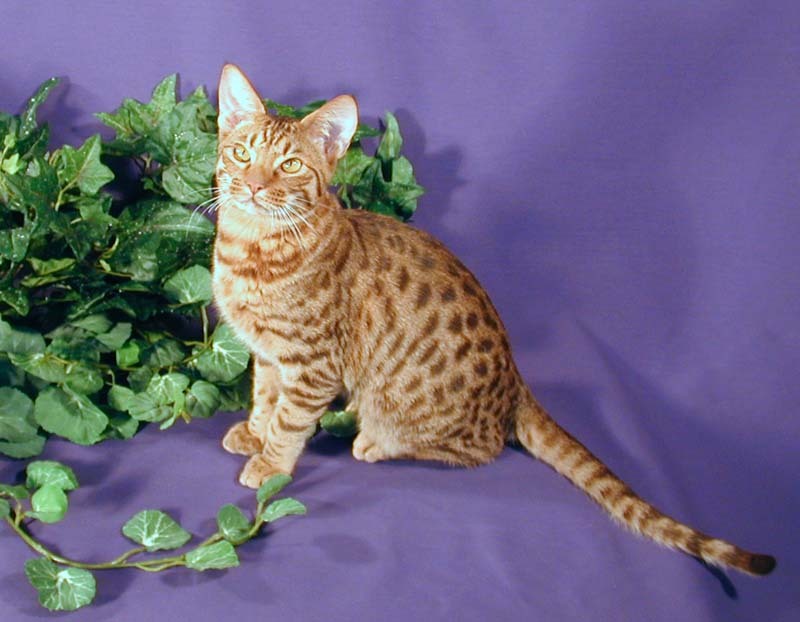 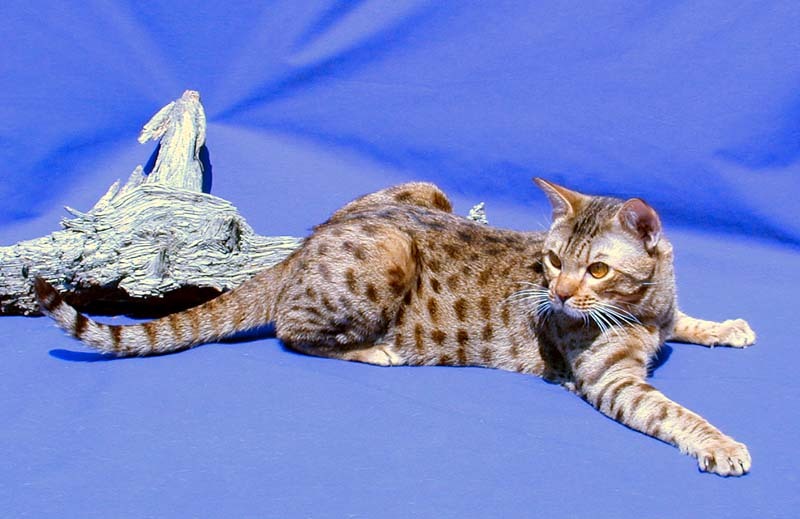 WildTracks exhibits Ocicats at many CFA cat shows around the United States. These shows help improve the breed quality by ensuring common breed goals, the standards for which are set by a breed council. 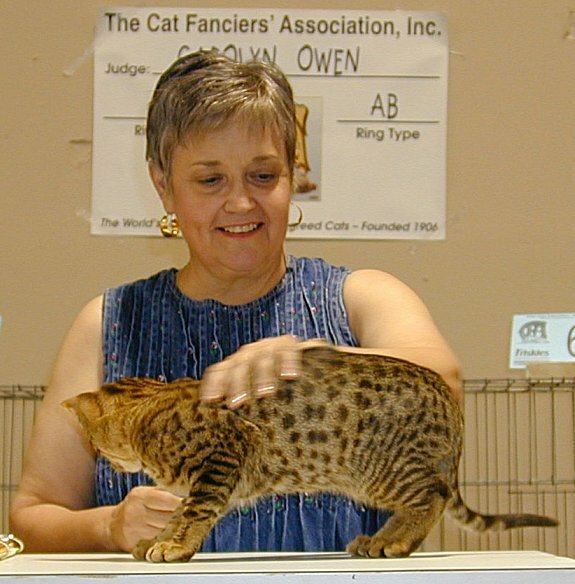 Judges rate each cat according to these standards, so cats that win awards at these shows have demonstrated excellence from multiple judgings based on a set of standards for the breed. 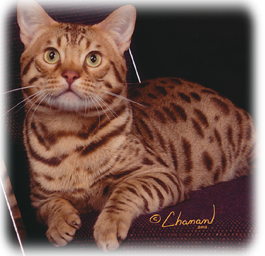 Cat shows also provide us the opportunity to present the quality of our cats to the public. 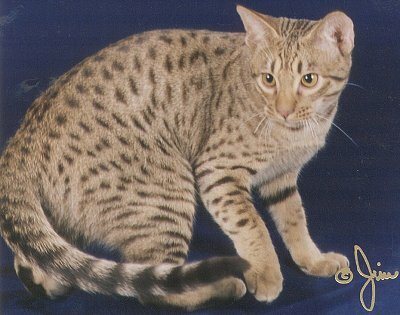 The quality of Ocicats has been improving over the years, and competition is strong. 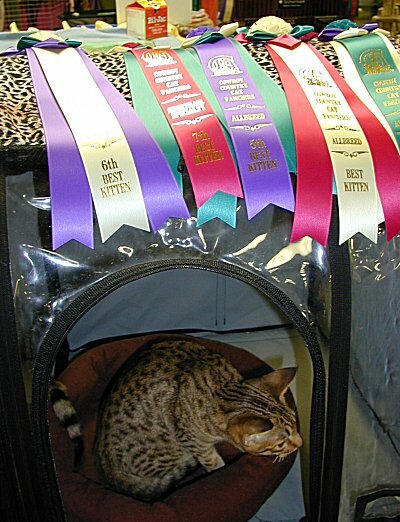 WildTracks cats have been consistent winners in shows nationwide. 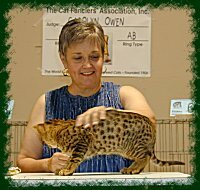 See our Guided Tour Through a Cat Show! 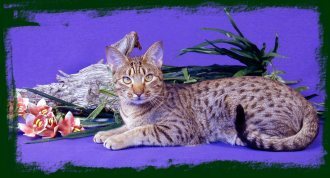 We are proud of our Ocicats, and would like to share with you some of our cats and their hard-earned recognition awards. 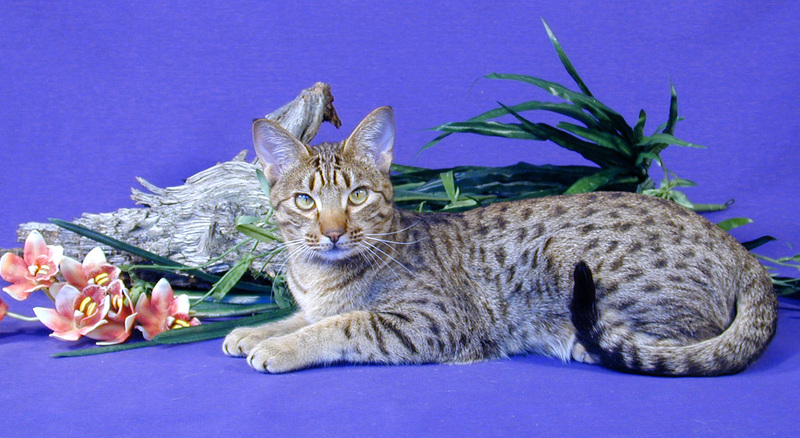 See our Glossary of Terms for details about award names. 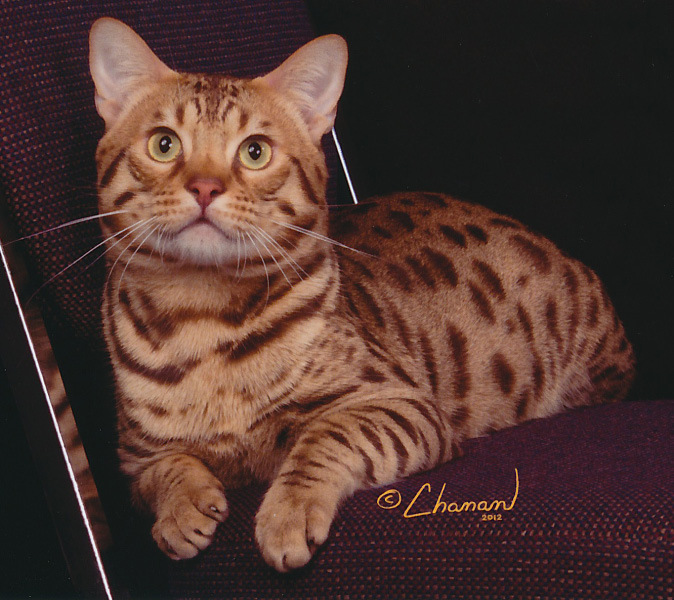 Grand Champion, Breed Winner, National Winner! 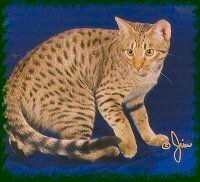 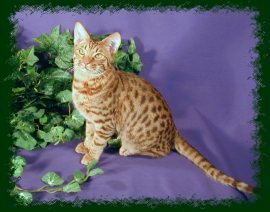 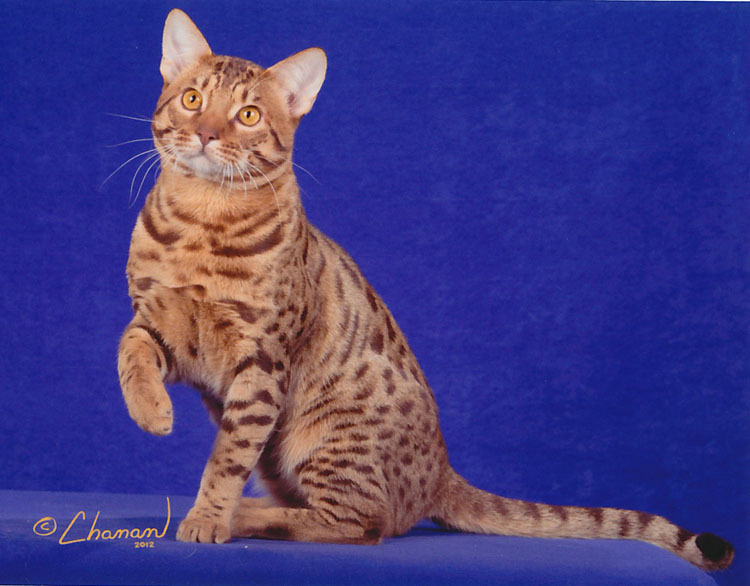 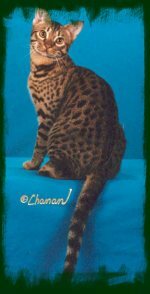 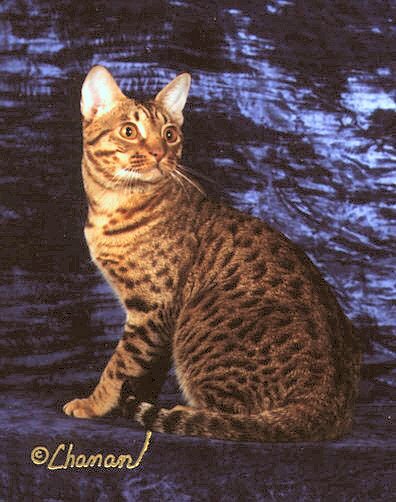 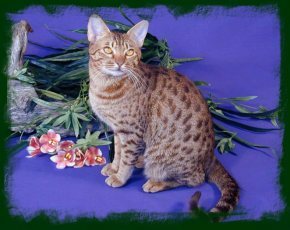 Cats that have "Granded" (i.e., hold the title "Grand Champion" or "Grand Premier") have placed higher than 200 other "Champion" or 75 other "Premier" cats during shows. 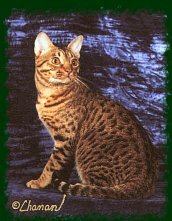 Cats that have produced either 5 Grand offspring (for females) or 15 Grand offspring (for males) earn the Distinguished Merit award. 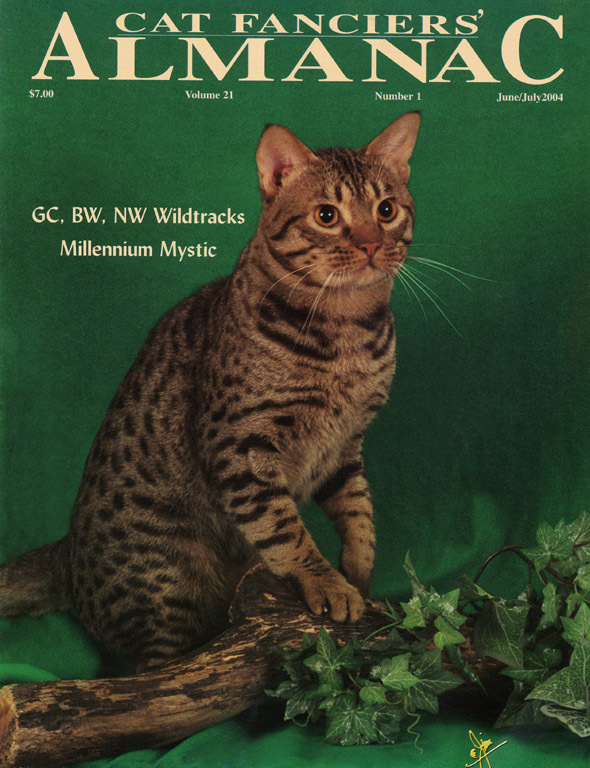 See WildTracks cats and kittens on the covers of Magazines. 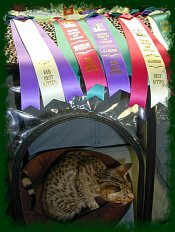 For more information on CFA Cat Shows and judging, see the CFA Shows page.